VertiFree™ is the leading natural solution to improve the feelings of disorientation, vertigo or spinning caused by imbalance in the inner ear. It is safe and effective, non-addictive and contains 100% homeopathic ingredients selected to temporarily relieve occasional symptoms of dizziness, nausea, or motion disturbances, as well as help maintain normal inner ear balance. Formulated by our team of experts in natural medicine, VertiFree™ is non-drowsy and taken internally for symptom relief without side effects. A powerful homeopathic formulation for vertigo symptom relief, VertiFree uses a unique, proprietary blend of highly diluted natural substances to relieve the symptoms of spinning, dizziness, nausea and more. Cocculus indicus has a long history of providing effective relief for violent dizziness and nausea. VertiFree™ is 100% homeopathic and contains these ingredients: Cocculus 30C HPUS, Lobelia inflata 30C HPUS, Bryonia 30C HPUS, Gelsemium 30C HPUS. 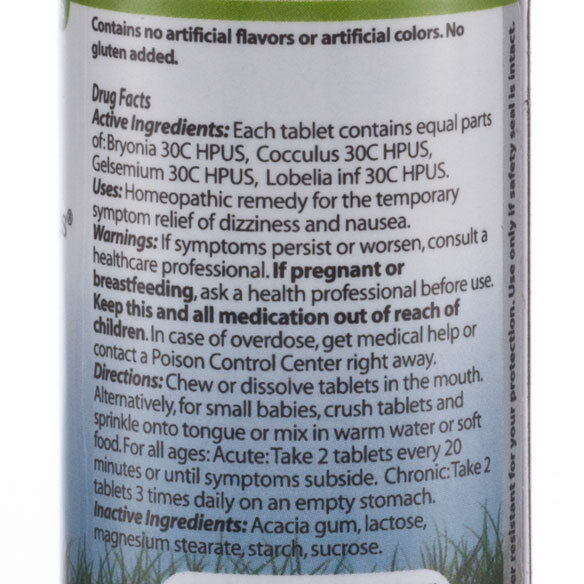 VertiFree is a homeopathic remedy and is safe for all ages. There are no known drug interactions. A homeopathic remedy can be taken 10 minutes after a meal, or 30 minutes after brushing the teeth (since many toothpastes have strong flavors such as mint). One bottle of VertiFree contains 180 lactose tablets and lasts for approximately 30 days or longer depending on dosage. Often, as in the case of all good tonics, a gradual improvement is felt over time. Best results are achieved when VertiFree is used consistently along with a healthy lifestyle. what is vertifree made of or how do I read about each ingredient? BEST ANSWER: Thank you for your question. 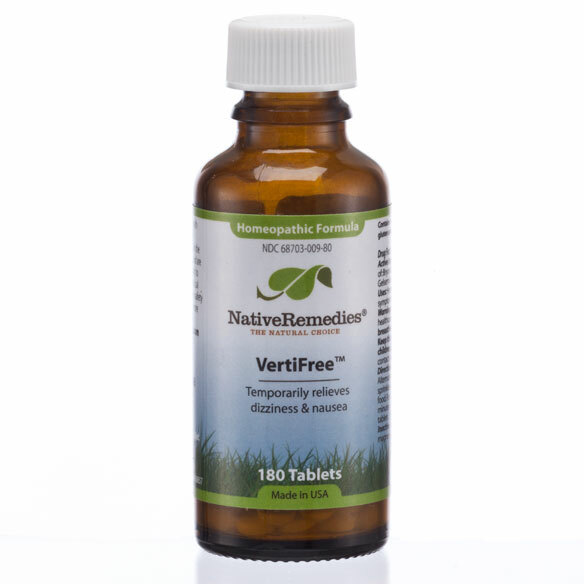 VertiFree™ is 100% homeopathic and contains these ingredients: Cocculus 30C HPUS, Lobelia inflata 30C HPUS, Bryonia 30C HPUS, Gelsemium 30C HPUS. We hope this information will be of help to you.